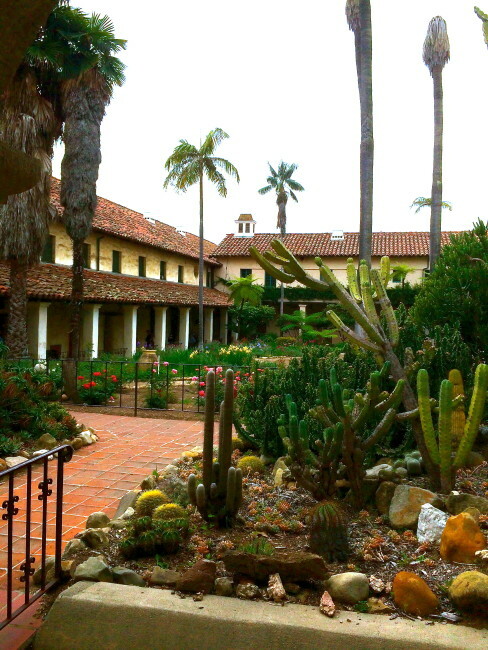 Serra had planned to establish the mission in Santa Barbara, but he died in 1784. 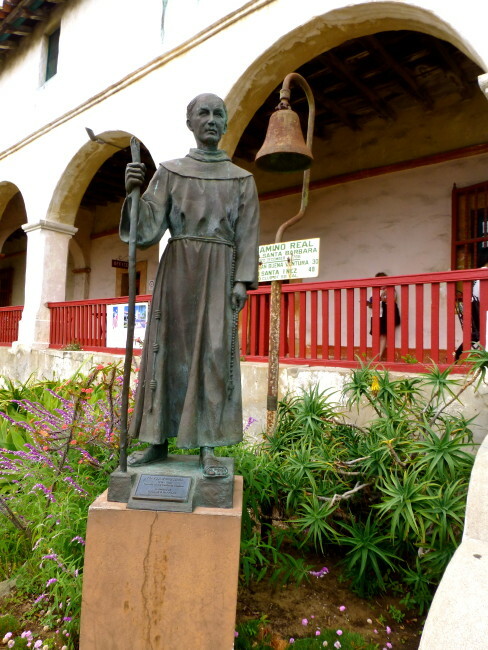 Padre Fermin Francisco de Lasuen succeeded Serra and raised the cross here two years later. 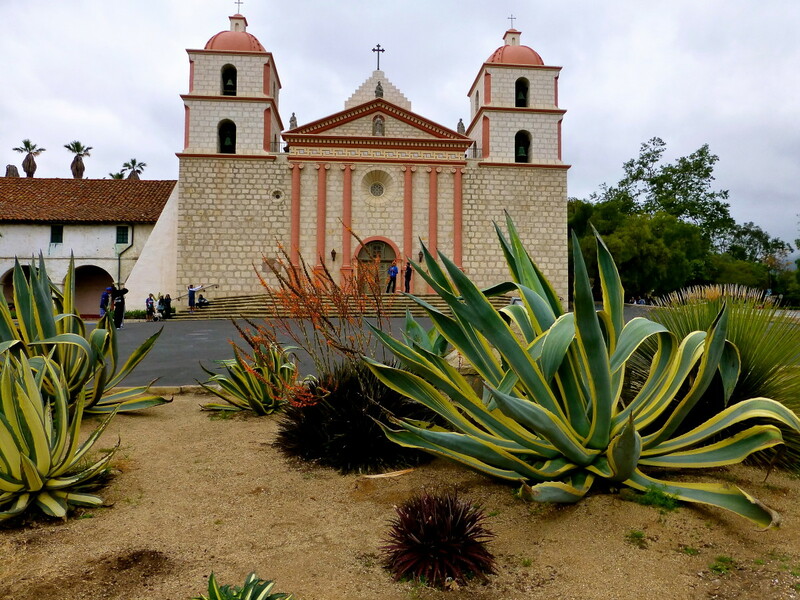 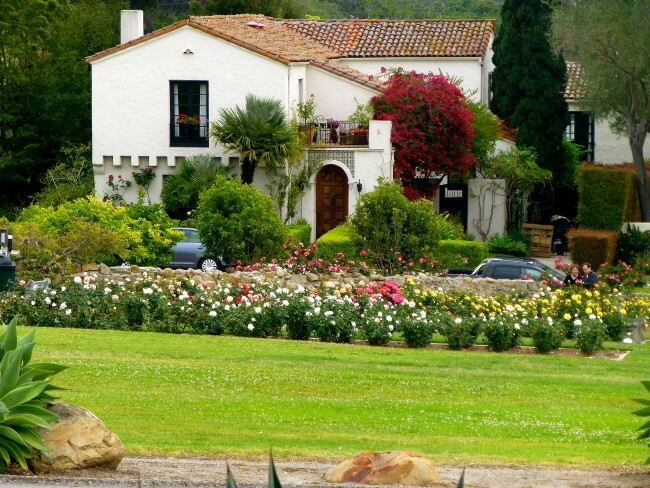 Old Mission Santa Barbara’s name comes from the legend of Saint Barbara. 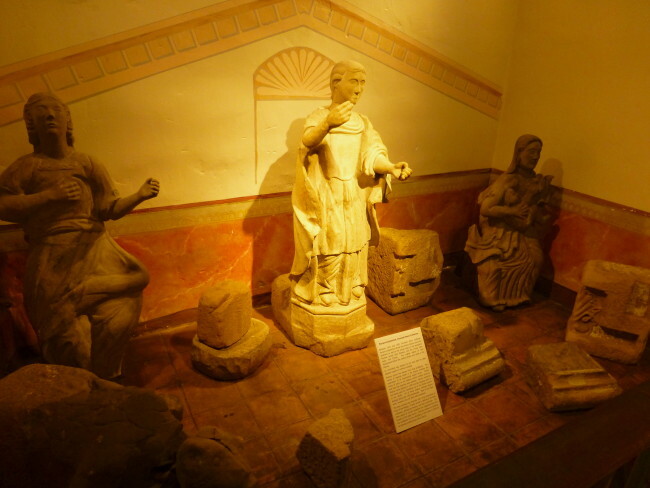 She was a girl who was beheaded by her father (a rich pagan..and obviously not very family-oriented… by the name of Dioscorus) for following the Christian Faith. 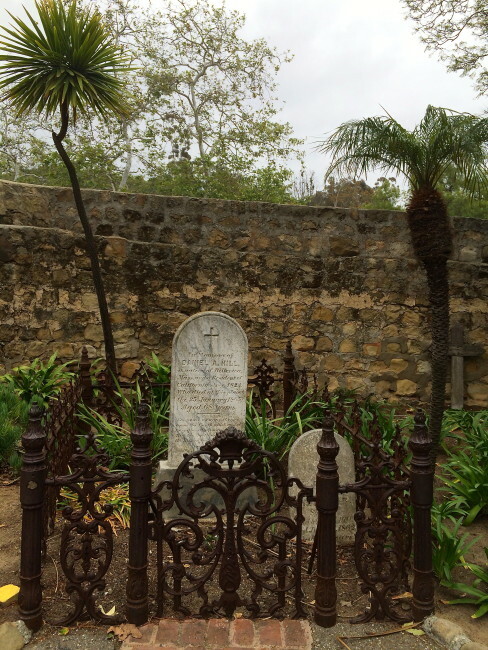 It didn’t work out so well for Dioscorus either…as a punishment for this deed, he was struck by lightning on the way home, and his body was consumed by flame. 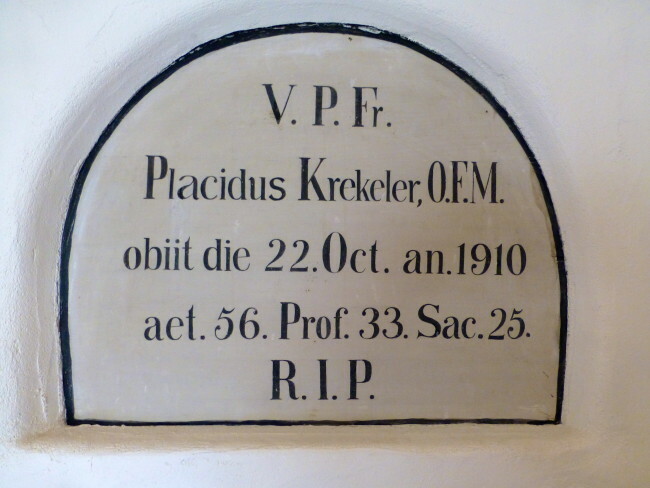 Even back then…crime did not pay! We paid our six bucks to enter the mission, and we started on our self-guided tour. Brother Juniper greeted us, and after stopping to watch a short film, we entered the Sacred Garden, which was originally used as an instructional area for Indians to learn different trades. 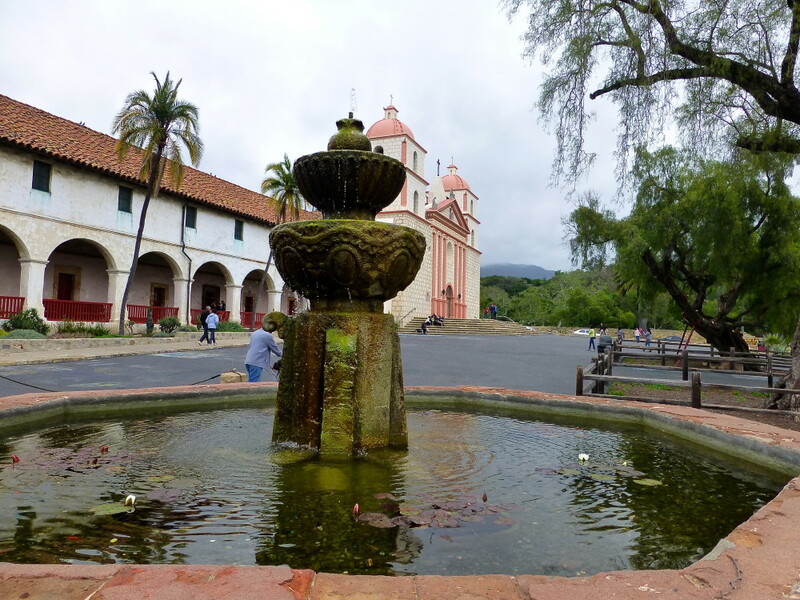 Passing by the Mission Renewal Quadrangle, we came upon an original Ox Cart (no ox, however) and a religious statue of unknown origin. 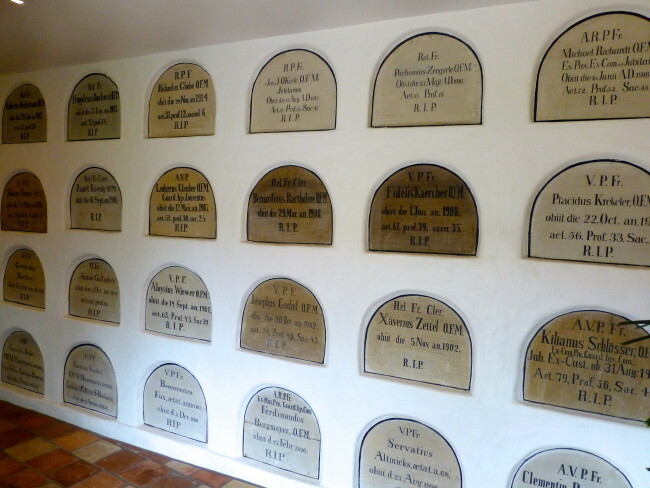 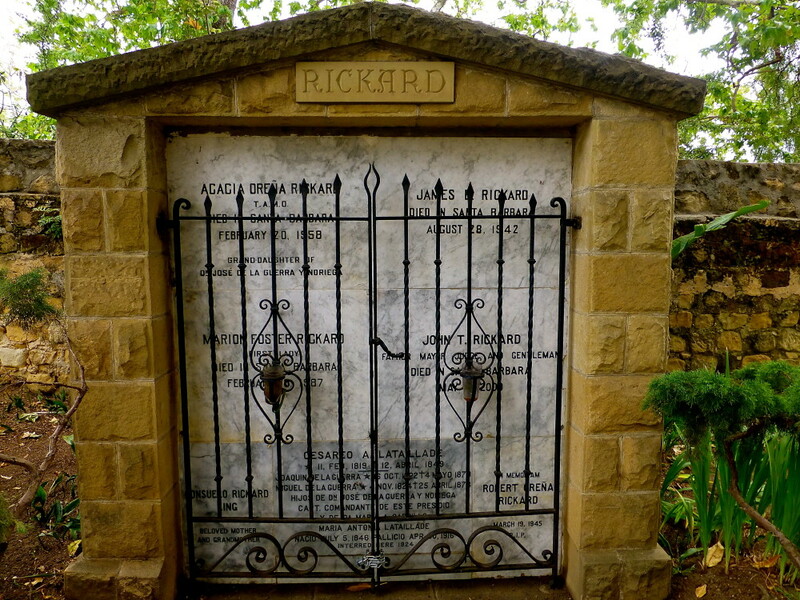 It wasn’t too long until we entered the cemetery that dates from 1789. It’s here where you can see the burial sites of Native Americans, missionaries and early settlers from the Santa Barbara area. 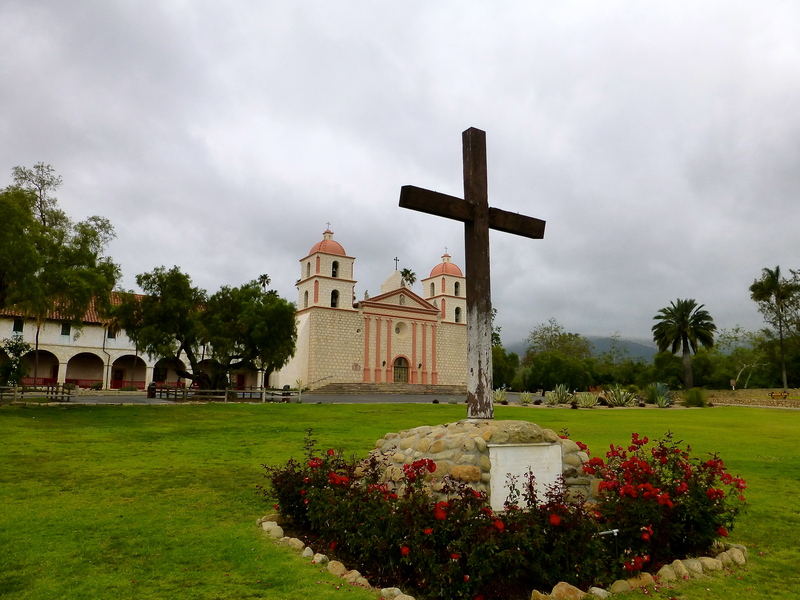 In the center of the cemetery is the mausoleum at Old Mission Santa Barbara. 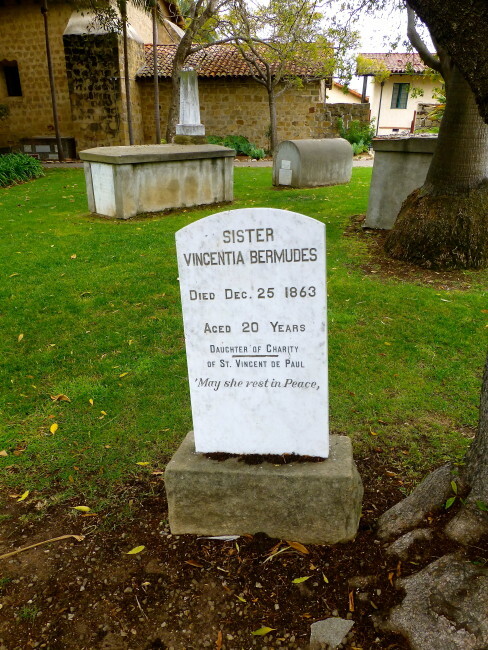 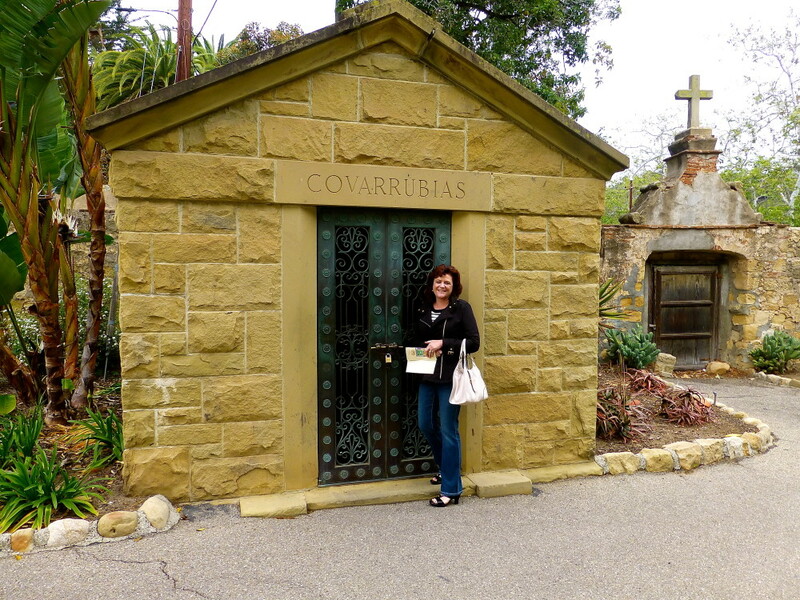 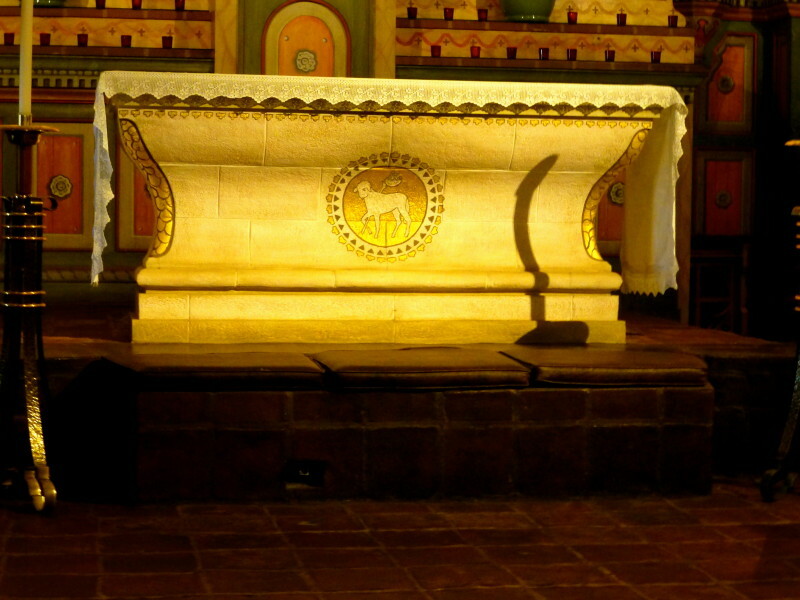 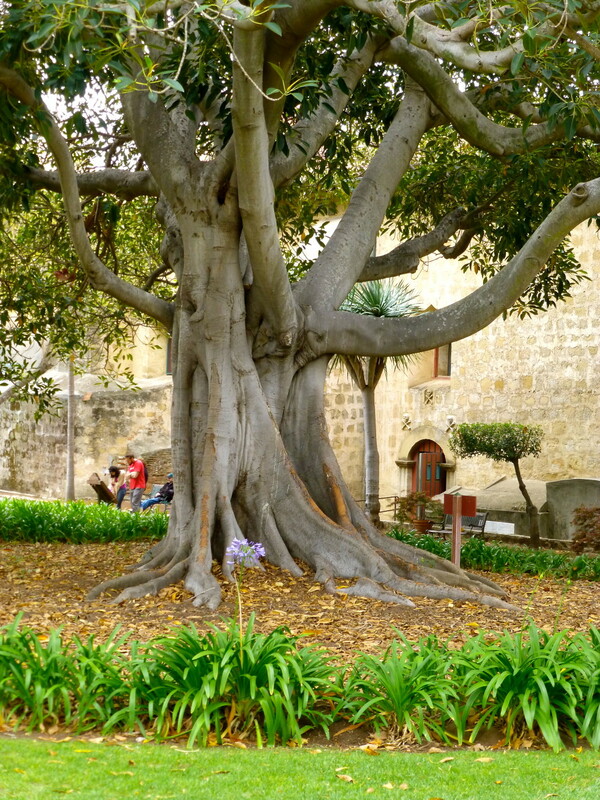 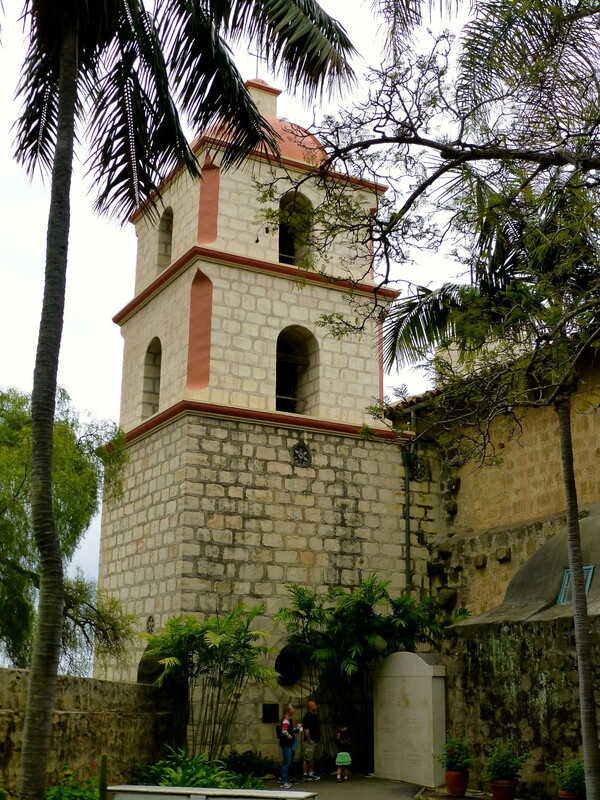 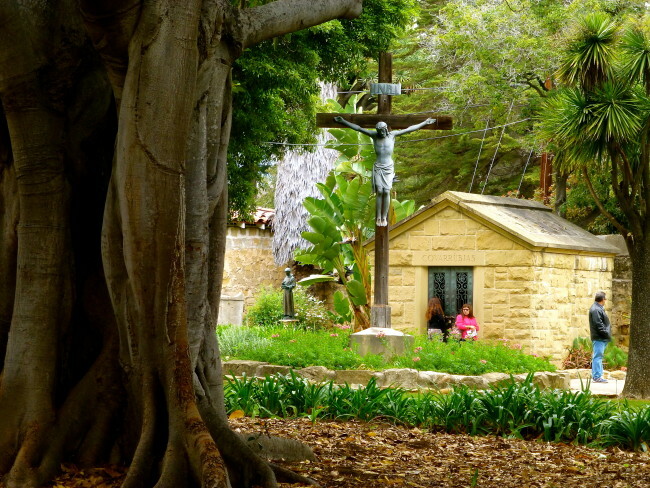 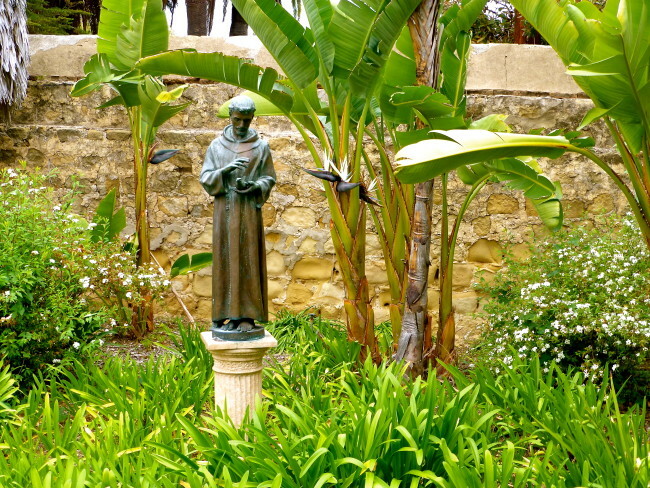 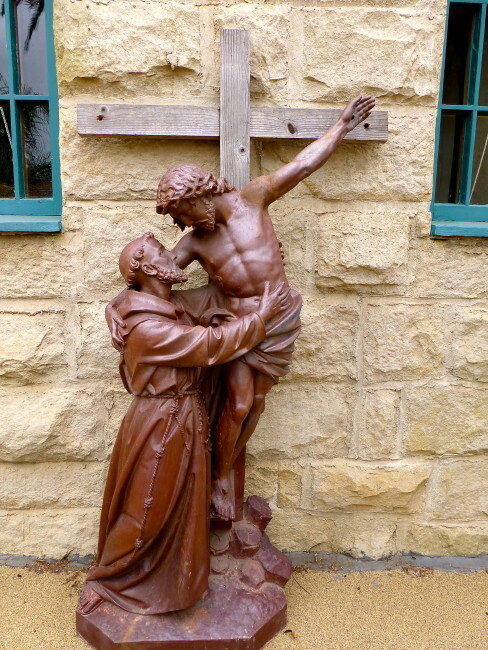 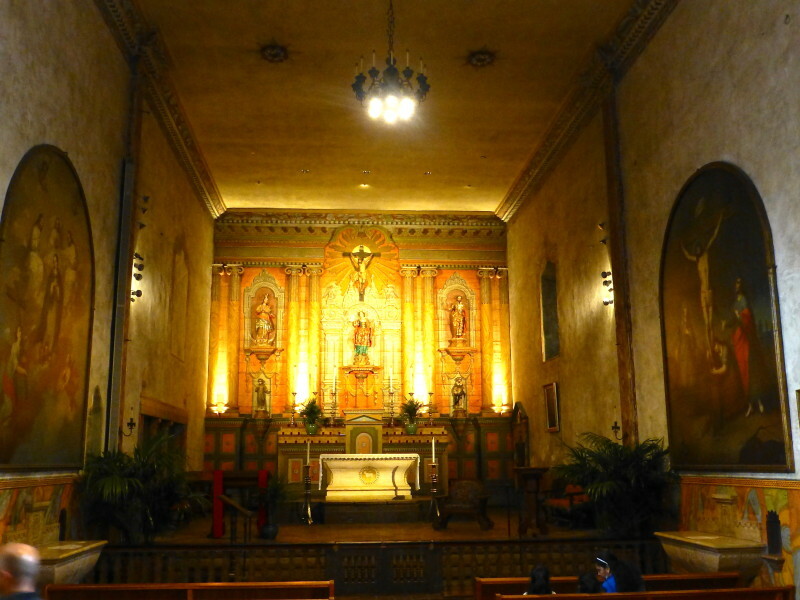 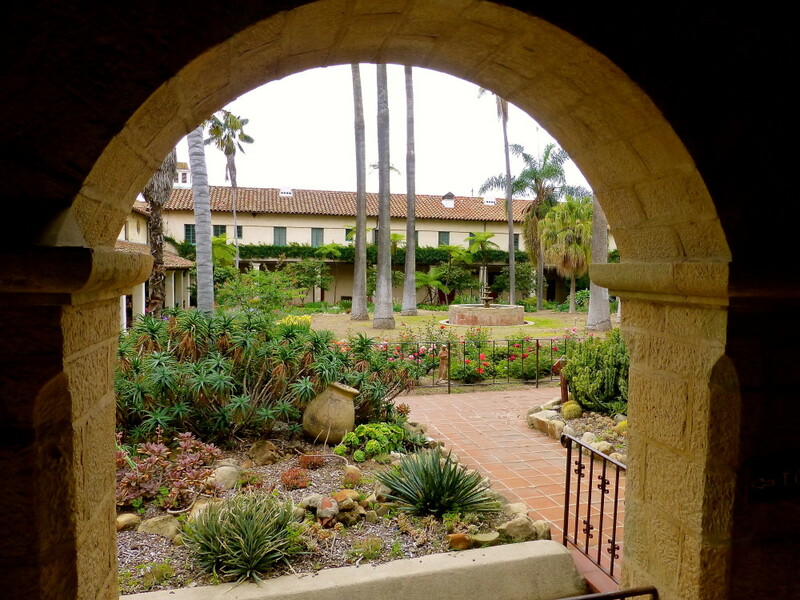 Since 1893, this structure has served as a final resting place for Franciscan friars and a number of prominent citizens who were part of the early history of Santa Barbara. 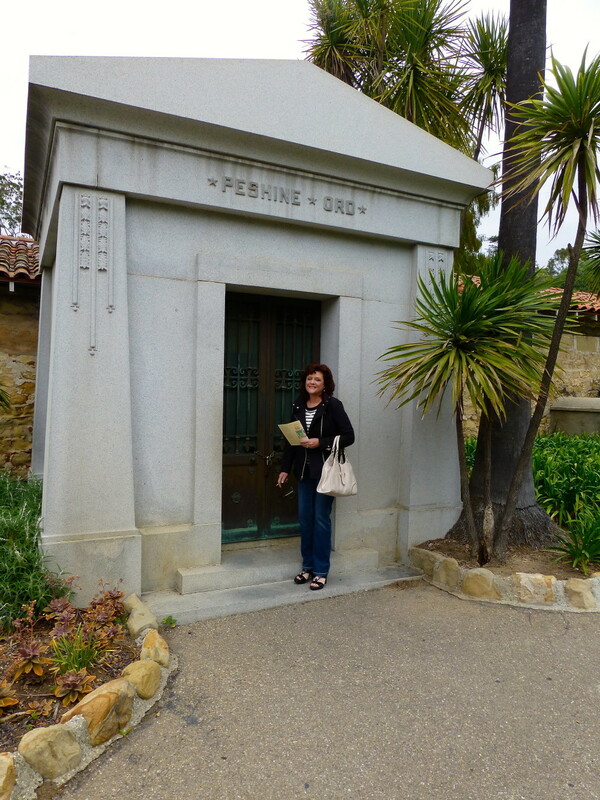 We walked among the dead for a few minutes. The cemetery area of the mission was much more serene and beautiful than the Sacred Garden. We spent about 15 minutes just wandering around, looking at graves, statues and some burial sites for people who might have had a little extra cash for expensive after-death housing. 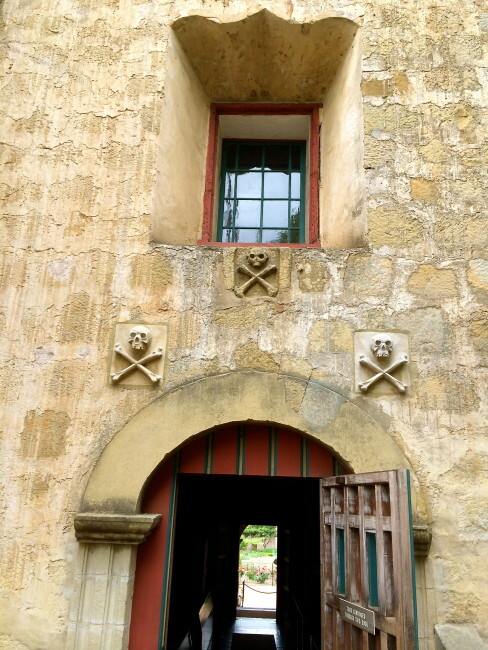 We saw some skull carvings that looked like pirates, but they were just put there to denote that we were, indeed, in a cemetery. 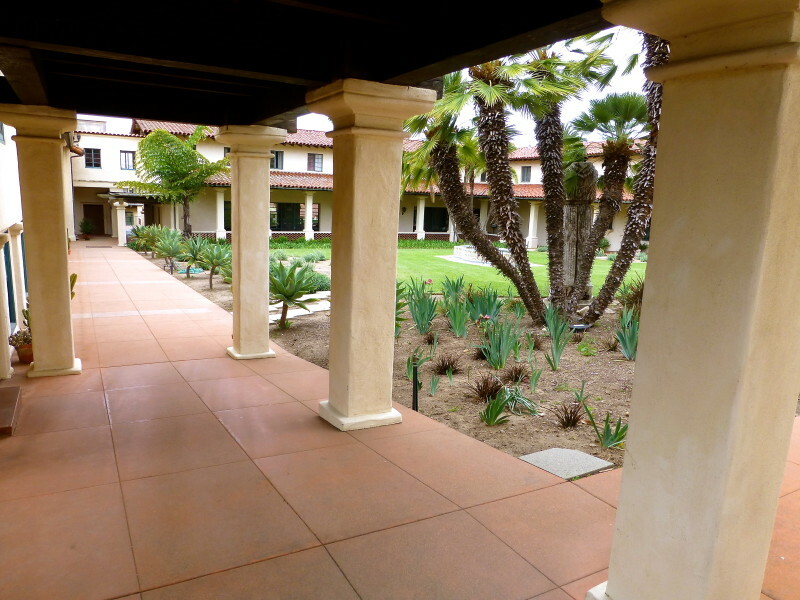 …and we strolled down the walkway. 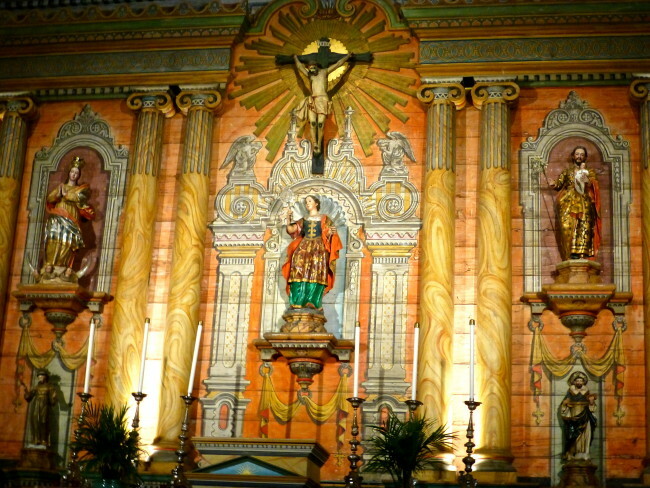 It was now time to enter the church. 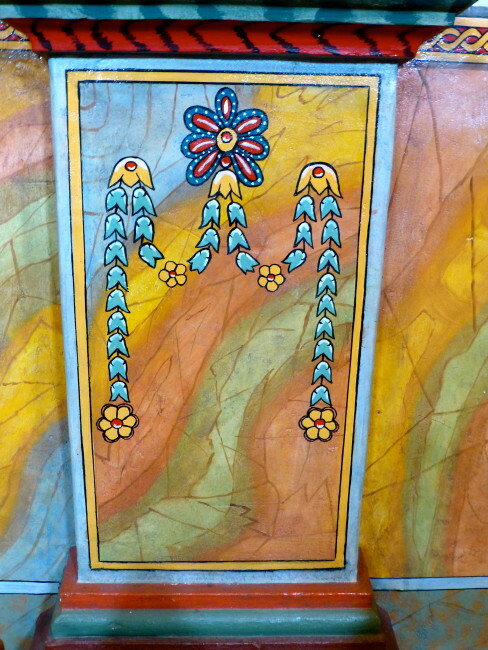 The colorful walls were intriguing. 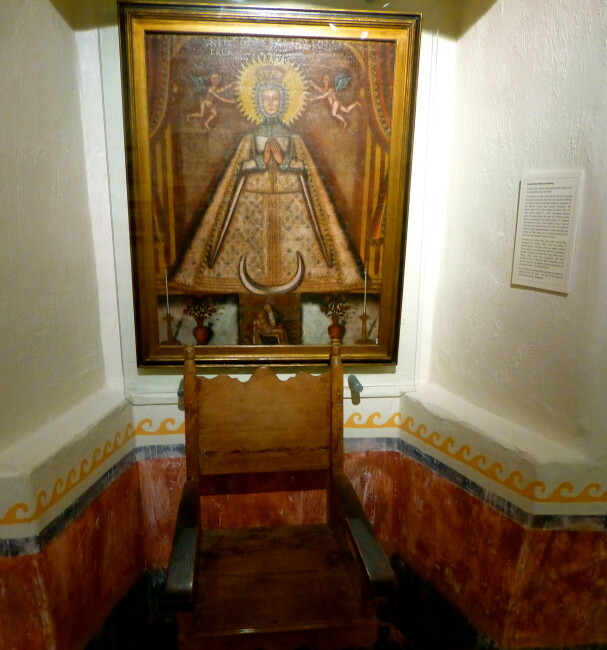 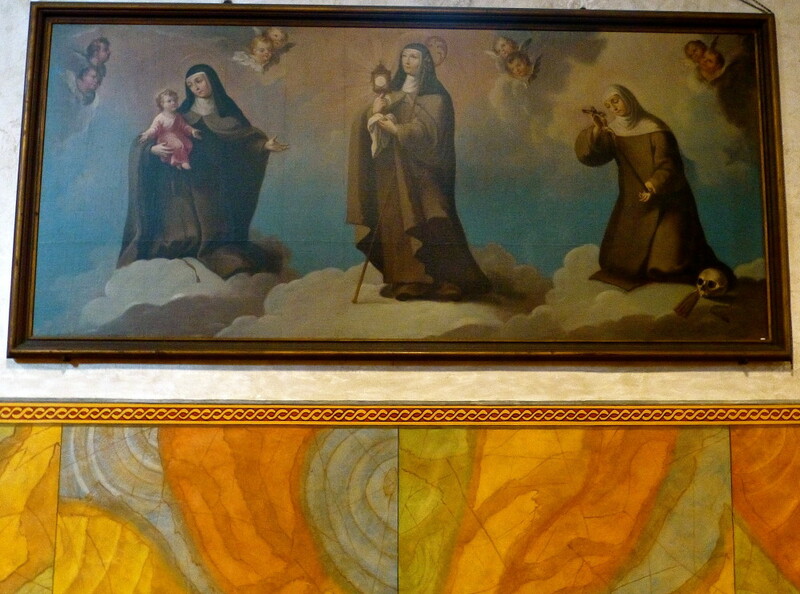 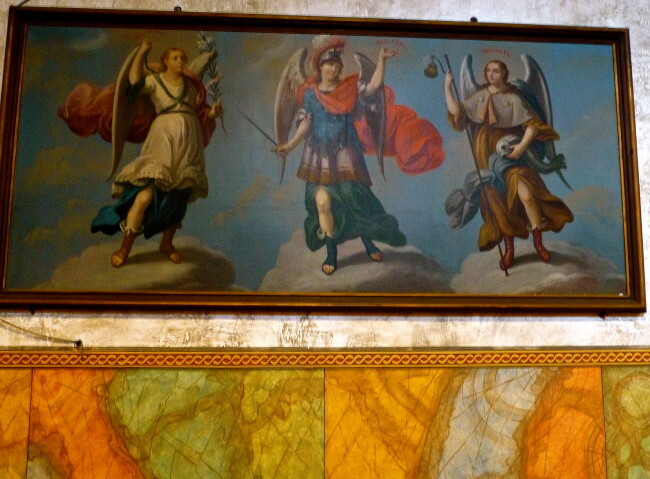 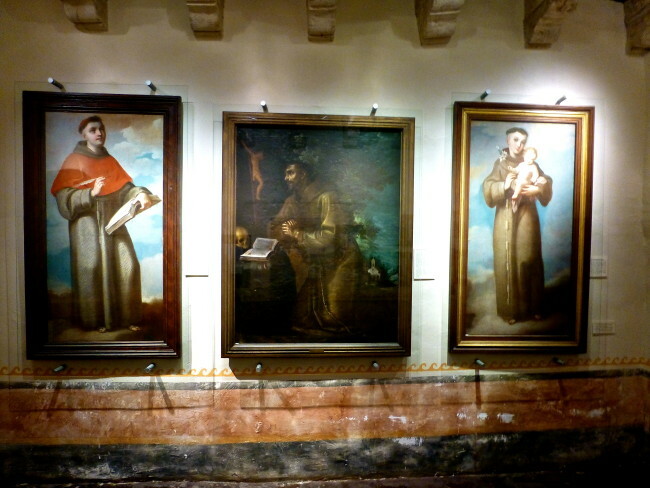 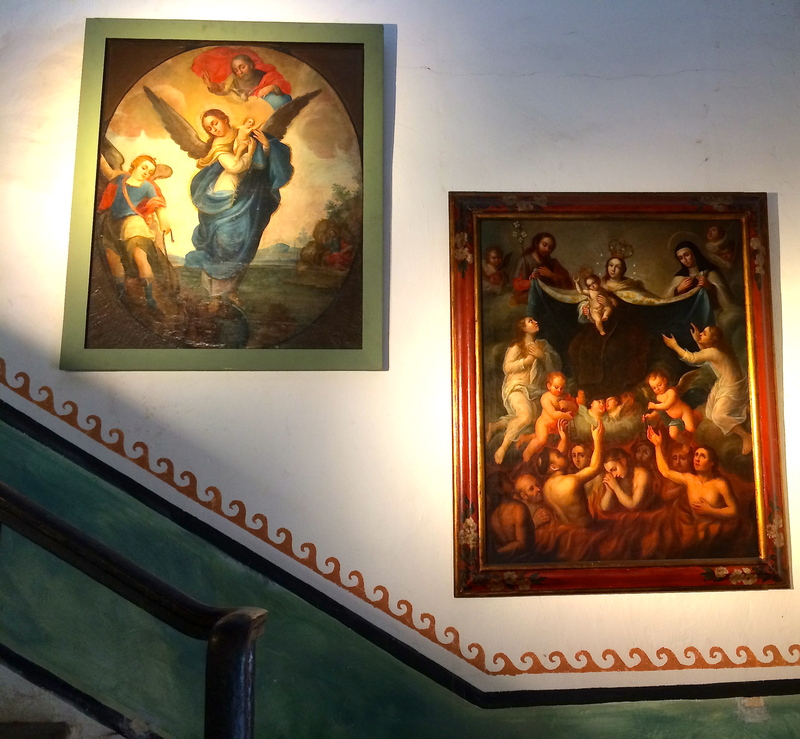 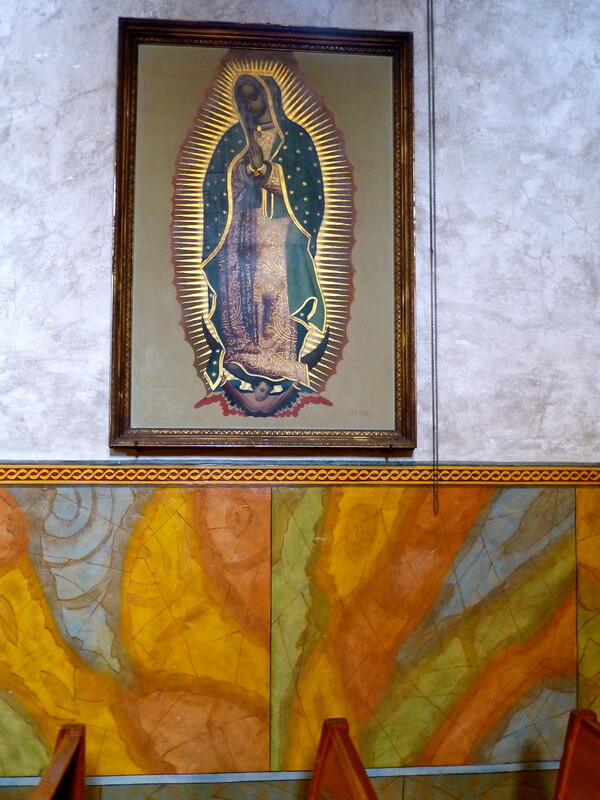 Various paintings displayed were created by Mexican artists of the 18th and 19th centuries. 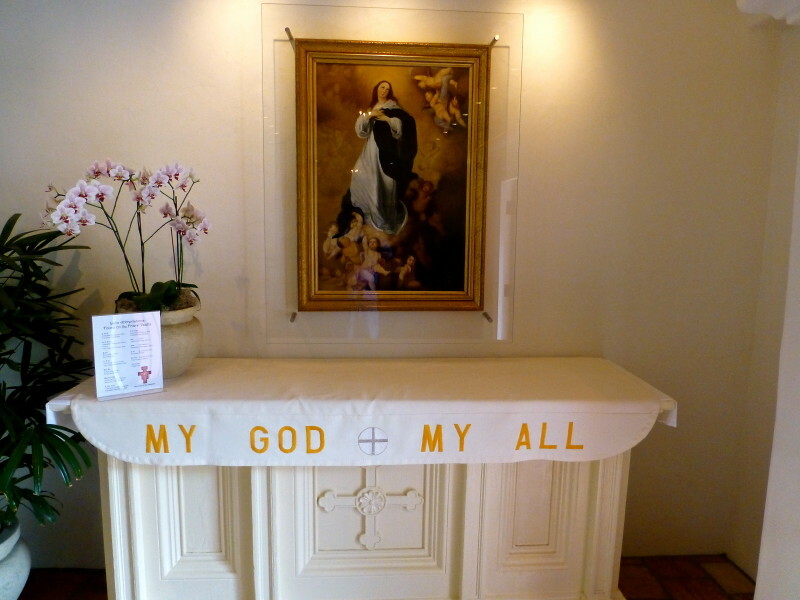 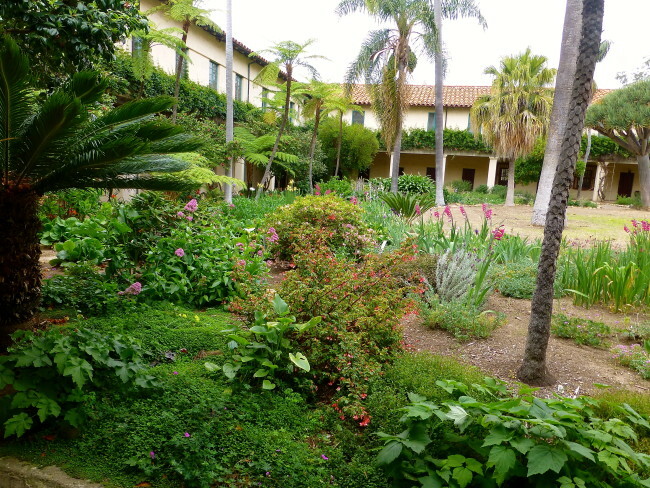 We exited the church, walked through another garden area, and headed for the museum, which consists of ten rooms. 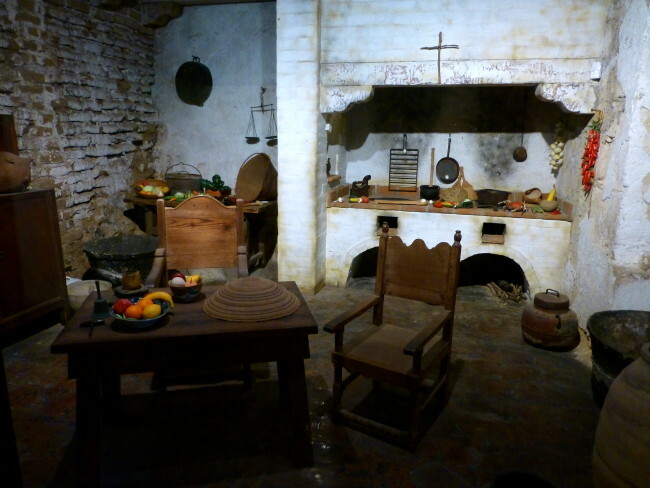 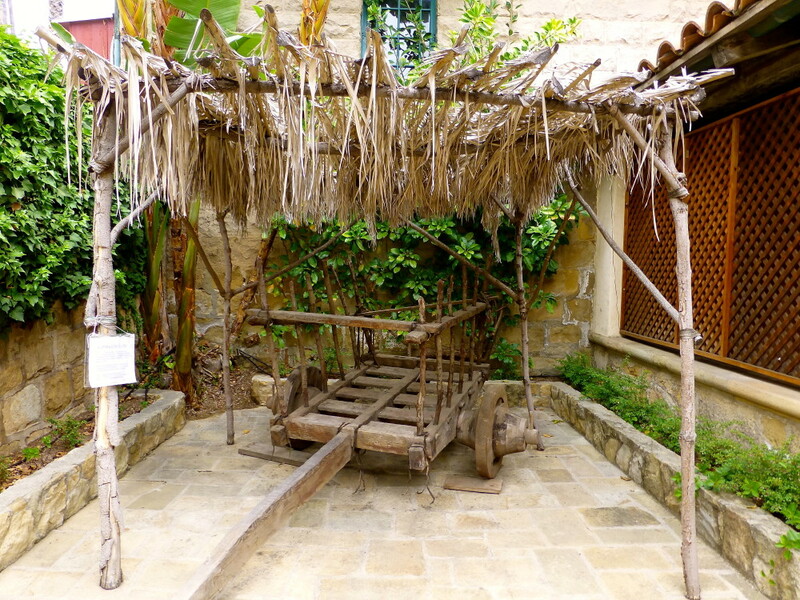 The museum rooms were originally used as living quarters for the missionaries and their guests. 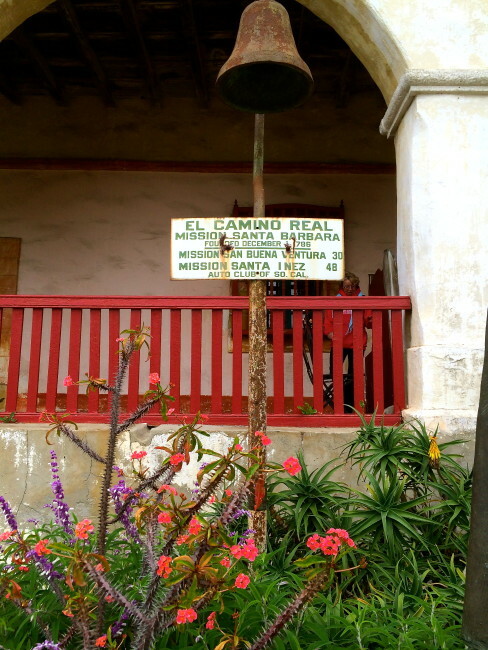 We stopped by and touched the Señora de Guadalupe Bell that dates from 1836. There are various pieces of Chumash Indian art displayed throughout the museum. The three large statues in one room represent Faith, Charity and the original St. Barbara from the façade of the church before the earthquake of 1925 damaged them. 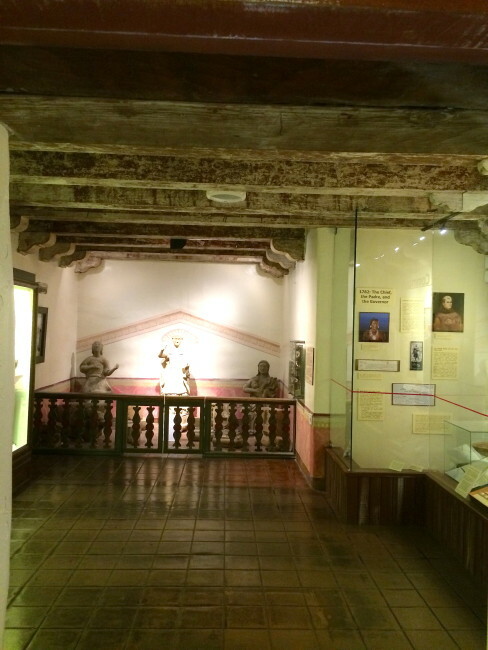 These are the only known examples of large Indian-made sculptures made in California. We hadn’t run out of paintings to see. 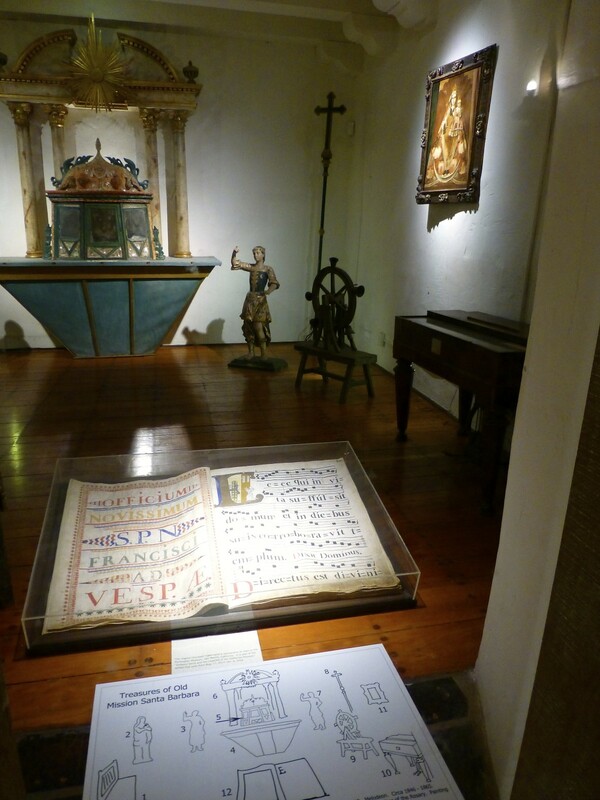 …and more artifacts, including a room with old instruments and musical scores. 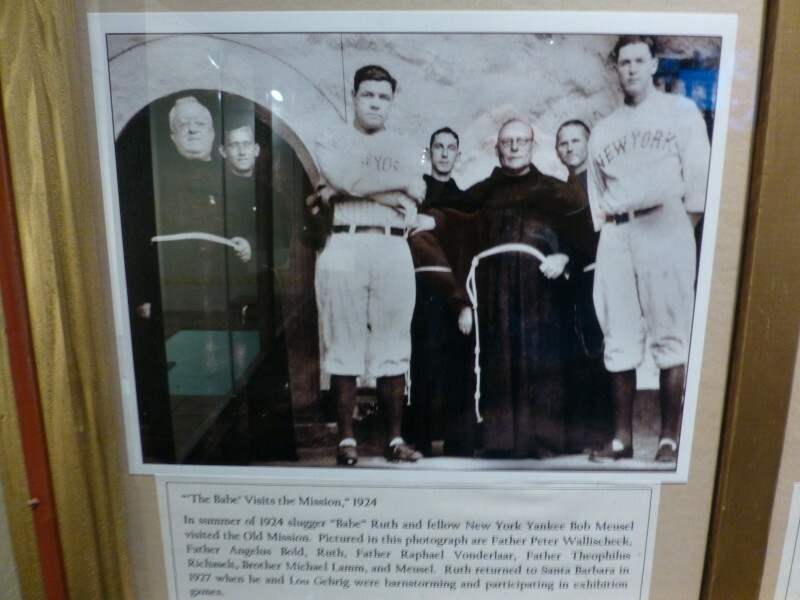 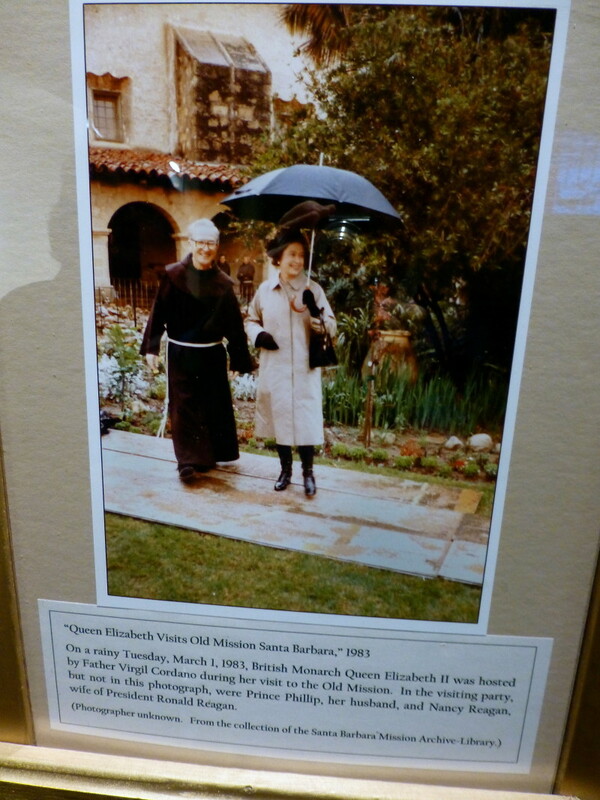 Some of the visitors who have visited the mission have included Babe Ruth and Queen Elizabeth, and they have the photos to prove it. 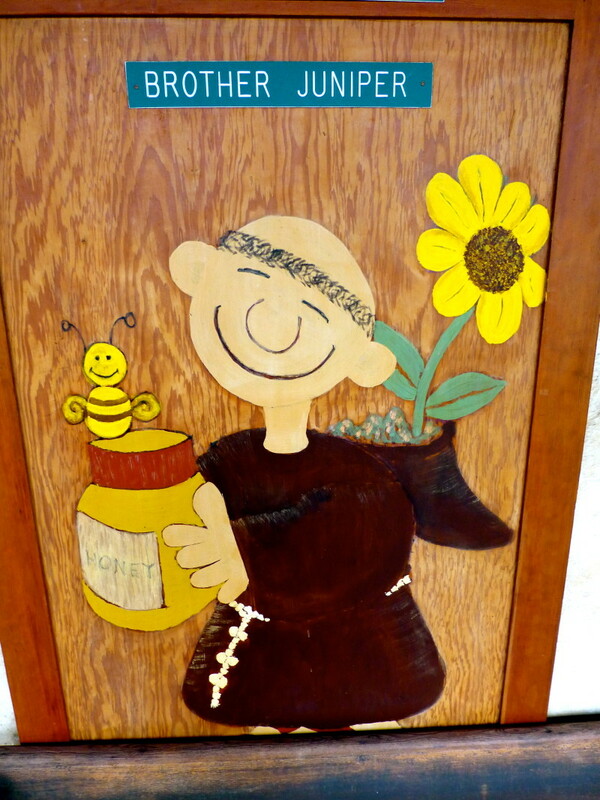 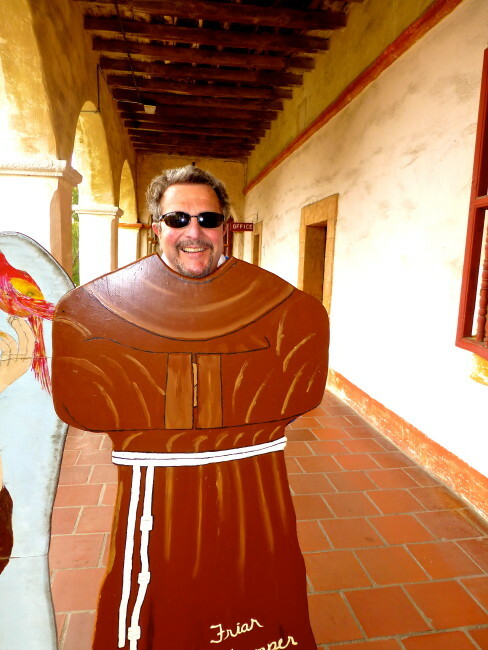 Back outside, I had Tracy take the “Tom as a Friar” photo, because…well, there really is no good reason I do these things. 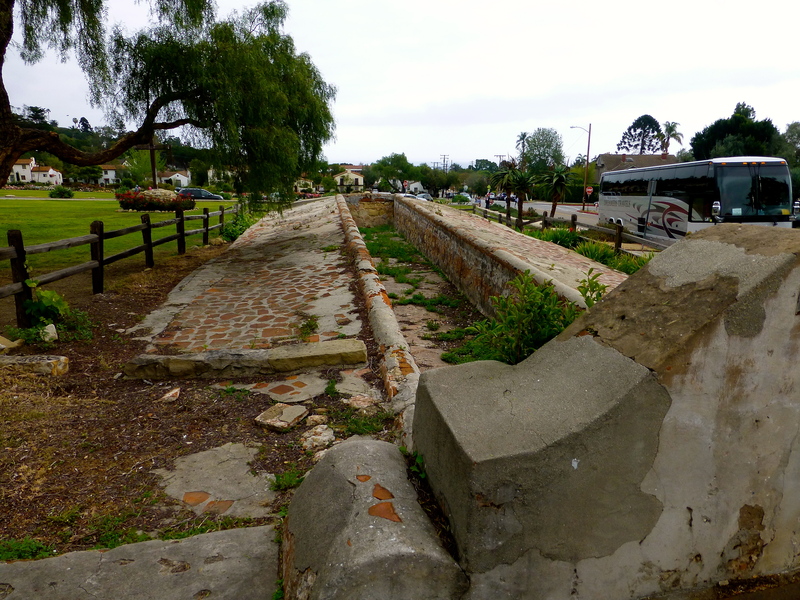 Walking to the front of the mission we came upon the original aqueduct. Across the street from the mission is a lovely rose garden. Even if it’s just a view from afar I get “good husband points” from Tracy when we hit a garden. Looking back the other direction there was a great panorama of the mission. 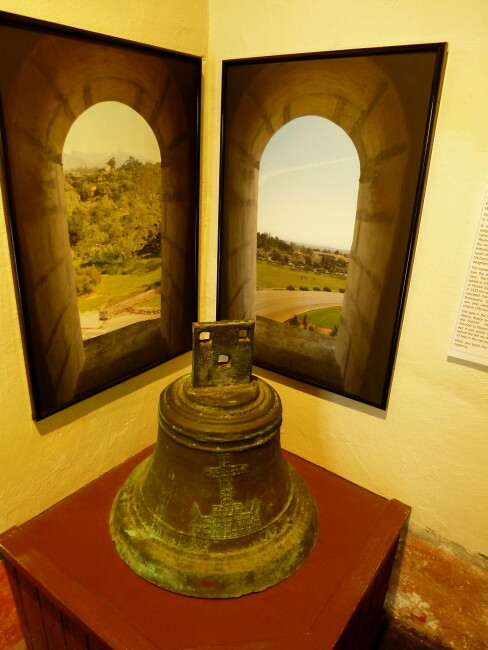 The Old Mission Santa Barbara is the only California Mission with two identical bell towers on either corner of the Mission Church. 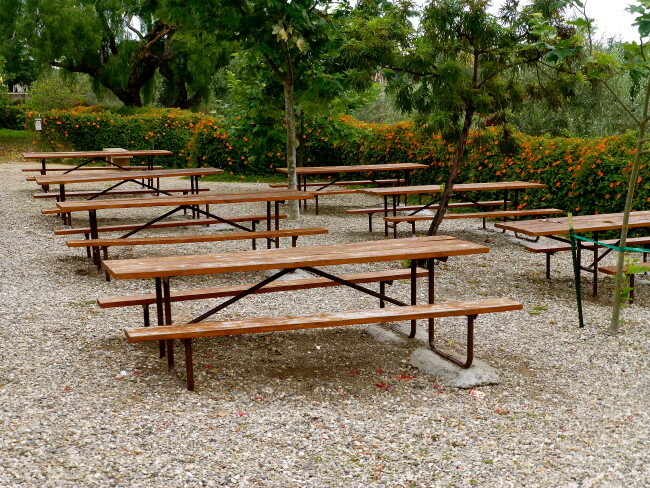 There is a picnic area adjacent to the mission. Old Mission Santa Barbara became the 11th mission on our quest. 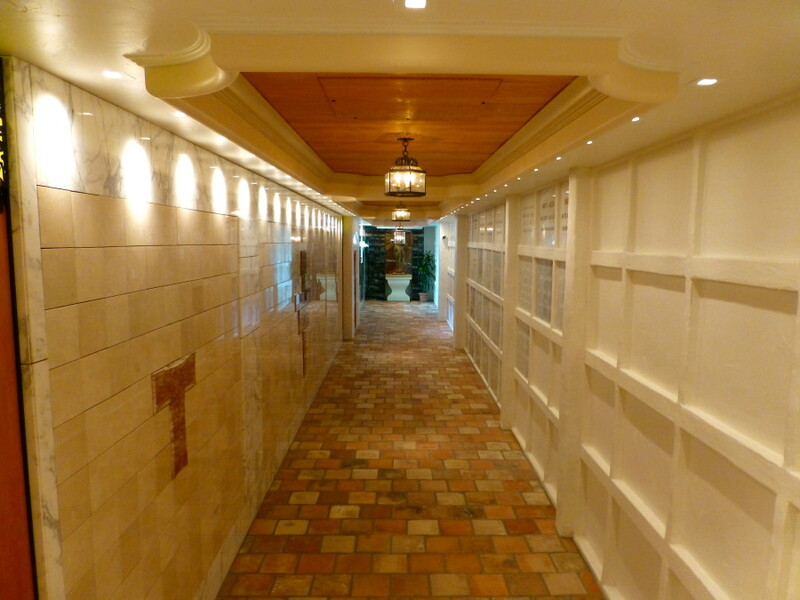 We are finally over the halfway mark in our goal to visit all 21. 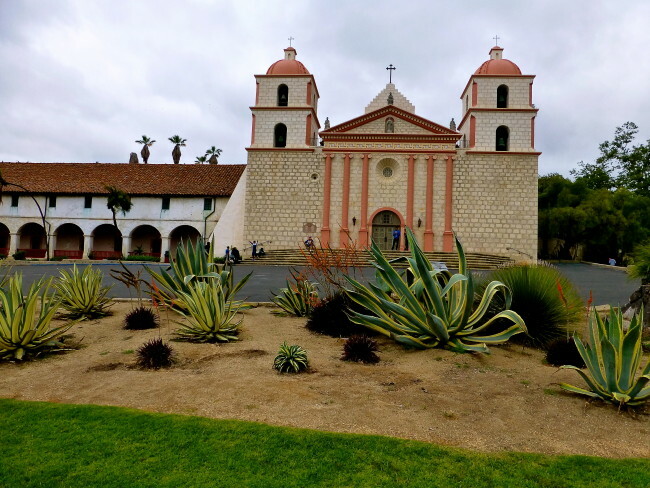 For anyone interested in traveling to California’s missions, I would put Old Mission Santa Barbara very near or at the the top of the ones we have visited so far. Hours: Daily 9 a.m. – 4:30 p.m.